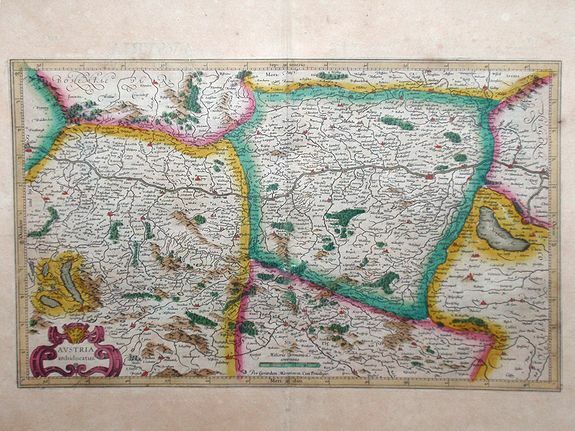 MERCATOR, G. - Austria archiducatus. Austria archiducatus. - MERCATOR, G.
Map maker : MERCATOR, G.. Size : 18.5 x 22.5 inches. / 47.0 x 57.2 cm. Description :Gerard Mercator map of Austria region re-issued by the Hondius publishing firm, accompanying text on verso. Condition : Minor discoloration of paper throughout due to age.